People travel from all around the world to explore the Rocky Mountains, and there they are .. in our backyard. 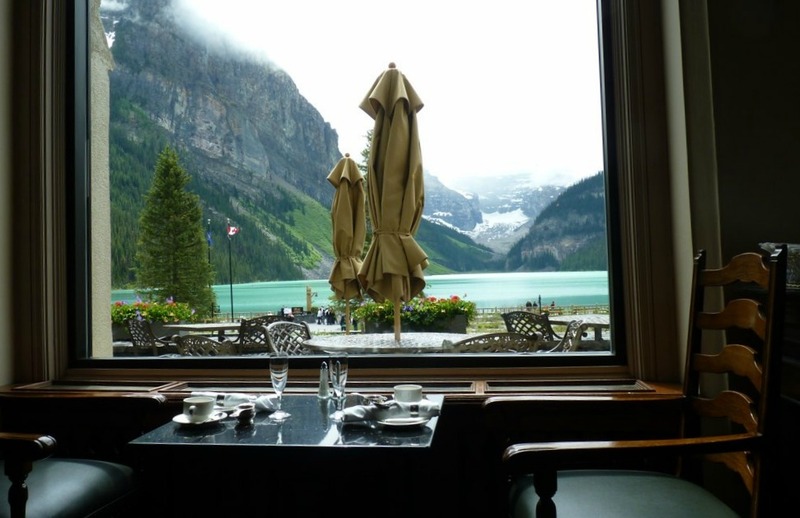 I have friends who have lived here for decades and have never been past Lake Louise. People, you don’t know what you’re missing. So let me tell you. Circle a weekend this spring or summer, and make an extended trip of it out to the Rocky Mountains and have an epic weekend adventure. 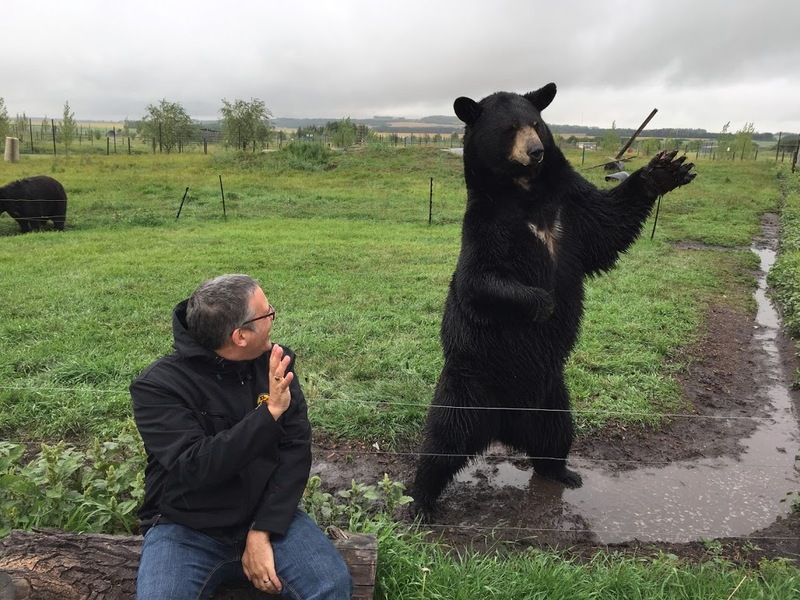 Once you scroll through my itinerary, hit the bottom for a big contest and a chance to win admission to some of these great spots with The Epic Summer Pass from Brewster Travel. Pack up from Calgary and head an hour or so west. Instead of turning left to Banff, first turn right and go to Lake Minnewanka. Here you can explore this wonderful manmade lake that was created when a damn was built to serve Banff. A town was flooded in the process, so yes, those are people you see SCUBA diving in the Rockies. After your boat ride, check in to your room at the Fox Hotel and Suites. My boys love it here as the suites are self-catered, they have cute fox stuffies for the kids, and their ‘pool’ is set up as a recreation of the grotto that William McCardell and Frank McCabe discovered in the fall of 1883. That hot spring was the linchin for the birth of Banff National Park. Now go and explore Banff a little bit before heading over to Bear St Tavern for awesome pizza, in a family friendly environment. I’ve been here with just the boys, and with the boys and grandparents, and it was great and easy each time. There’s a nice rustic pizza menu, great selection of beers, and whether you’re on your own or with kids, you’ll find something perfect. 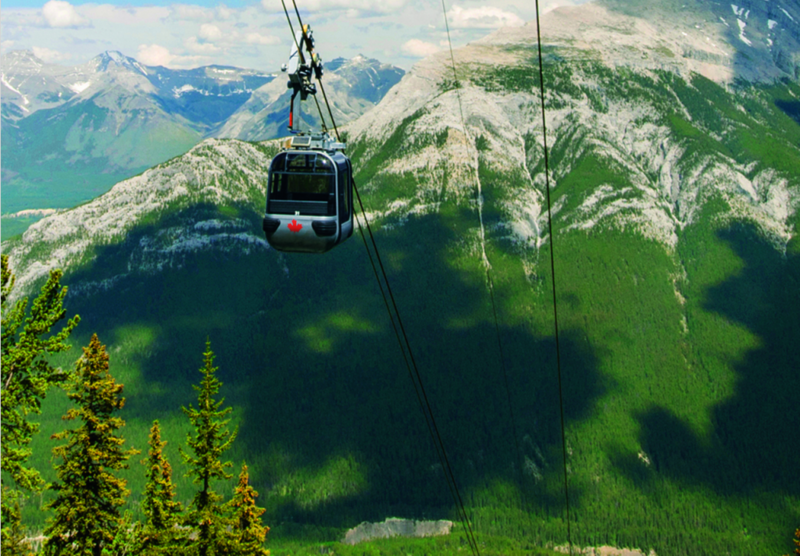 If you’re up to it, there’s a trail to the top of Sulphur Mountain, but there’s also a gondola. The Banff Gondola has undergone a multi million dollar upgrade over the past year, so maybe the plush ride up is in store for this trip. After drinking in the view, it’s time for another swim. At the base of Sulphur Mountain lies the Upper Hot Springs. Spend a few minutes soaking up the steam and atmosphere before heading down the road. The Icefields Parkway is, easily, the most scenic drive in Canada. Stretching from Lake Louise to Jasper, the Icefields Parkway has crashing glaciers and towering mountains the entire way. 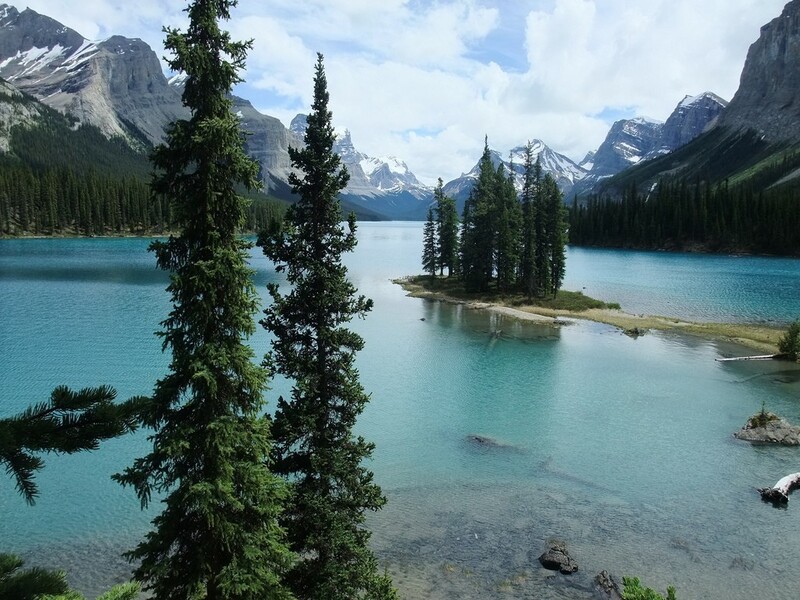 There will be many places to stop en route, but if you want a classic ‘Canadian view,’ stop at the Bow Summit and take a picture overlooking Peyto Lake. Your afternoon will be spent wandering the glacier at the Columbia Icefield. I’ve been coming here since I was 15 years old, and the changes are remarkable. Global warming is real, and this is where you can, literally, see it happening. Tonight, stay at the Glacier View Inn. It’s right above the ticket centre for the Columbia Icefield and while dinner options are limited, it’s a wonderful place to be – in the middle of nowhere. 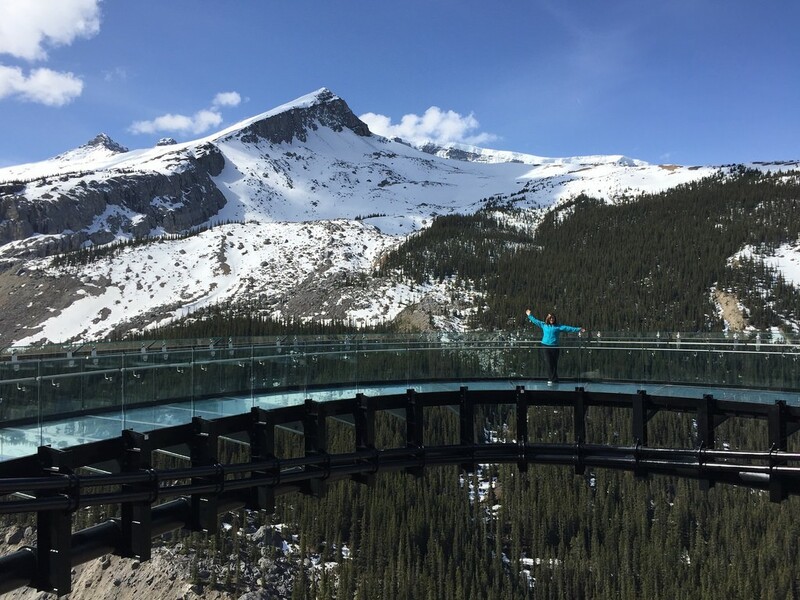 The next morning you’re heading off to Jasper, but first you’ll head downstairs from the hotel and grab a shuttle just down the road to the Glacier Skywalk. Here, a glass platform has been built overlooking the gorge and it is as jaw dropping as it is knee knocking. If the glass isn’t enough to make you nervous, the sway on the platform to move with the wind will. The entire experience is very well designed with lots of information about geography, geology, the animals in the area, and more. Our kids loved this stop on our road trip. Once you’re packed up, you’re on your way to Jasper. Again, the second half of the Icefields Parkway will be filled with scenery for you to drink in, and many stops will be made. Be sure to pull over at Athabasca Falls. 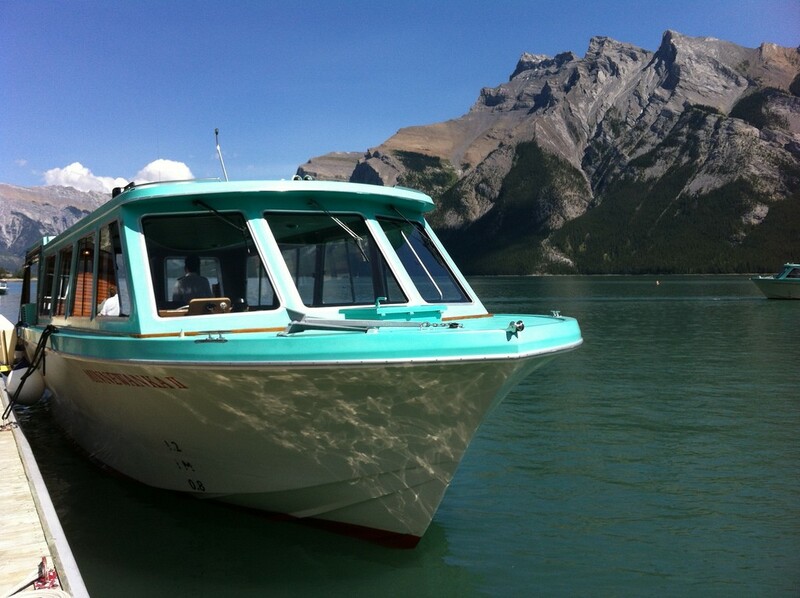 Once you get to Jasper, head out to Maligne Lake for another impressive cruise. And now you’re on your own. It will take you a weekend to get up to the end of this road, and if you wanted to bust your way back quickly, it’s about 4 hours. But, really, you’ll want to extend your stay. 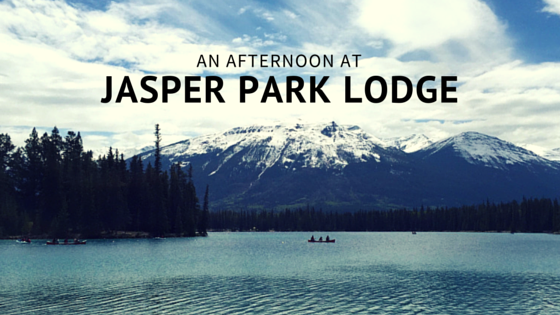 You’ll paddle the ponds outside the Jasper Park Lodge, maybe play a round of golf, and just take your time. Talk about an epic weekend, now let’s see if you can win access to it. 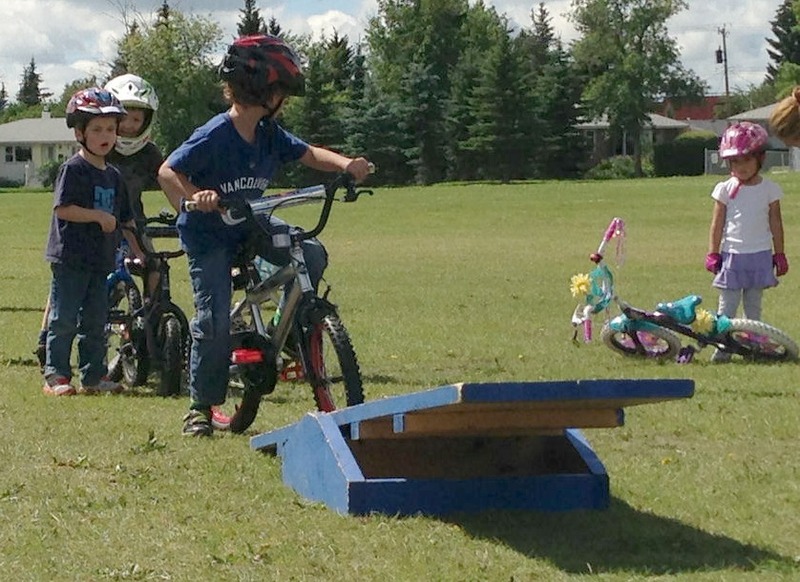 Terms and conditions: The prize is only open to residents of Alberta. Prize is for 2 adult, and 2 child tickets. Value is $400. The winner will be emailed 4 PDF tickets to be used. Prize must be accepted as awarded. 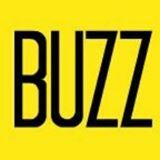 Please use personal social media accounts for entering instead of contest-only accounts. Void where prohibited. 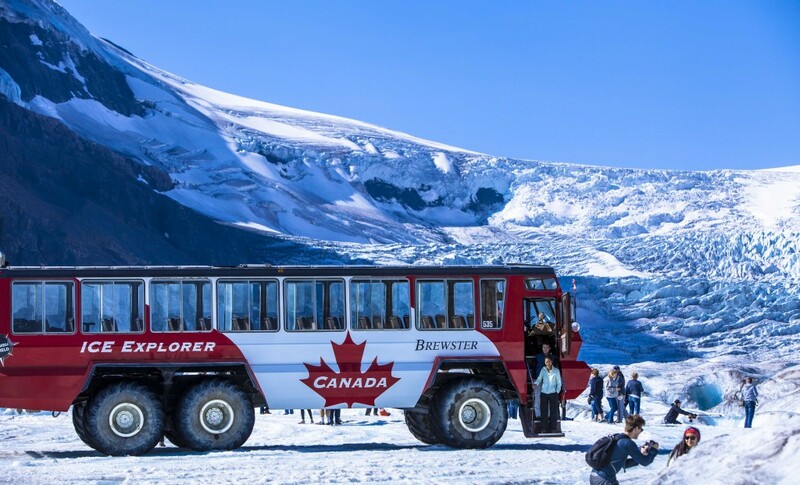 This summer, Brewster Travel Canada will be offering Albertans the opportunity to seize the summer with a new take on the traditional season pass. The Epic Summer Pass will provide Albertan families with an affordable way to make the most of the summer months with unlimited access to five of the most spectacular attractions in the Rocky Mountains during the 2016 operating season. Recognizing the province continues to face ongoing economic challenges, Brewster’s Epic Summer Pass will allow Albertans to enjoy unlimited summer adventures with friends and family, all for an affordable one-time price. Pass-holders will experience the best of the Rocky Mountains with access to the Banff Gondola, Banff Lake Cruise, Columbia Icefield Glacier Adventure, Glacier Skywalk and Maligne Lake Cruise. Until May 31, adult passes can be purchased for $130 and children’s passes for $70, making it easier and more economical than ever for families to visit the mountains together. Brewster’s Epic Summer Pass pays for itself in just three visits to any of the five listed attractions and continues to compound savings for pass-holders each time they visit.